The List have teamed up with Beltane Fire Society to give two lucky winners a pair of tickets to Beltane Fire Festival this April 2019. Beltane Fire Festival brings ancient Celtic traditions to life with a unique modern twist. For one special night, hundreds of otherworldly creatures will descend on Calton Hill to mark the transition to Summer. When the drums start to thunder, the May Queen awakens and leads her followers on a spectacular torchlit procession, watched by an audience of thousands against the backdrop of Edinburgh's stunning skyline. Beltane Fire Festival is a spectacle and a must see - do not miss out on this one. Which season's return is celebrated at Beltan Fire Festival? 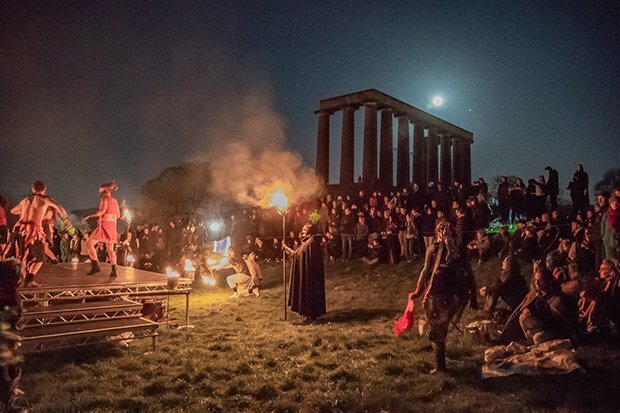 A modern interpretation of the ancient fertility festival of Beltane housed in the spectacular setting of Calton Hill. Beltane Fire Society performs the story of the death of winter and the birth of summer via dance, drumming, debauched acrobatics, giant puppetry and, of course, fire. Monday 30th April, gates open at 8PM, performance begins at sundown and finishes by 1AM. Families with children are welcome at parents’ discretion. All children under 16 years must be accompanied by an adult and have their own separate ticket. Children under 2 years old go free. Competition closes 23 April 2019. The List's usual rules apply.